Collins Okoth “Gattuso” who missed the match against Mathare United has been included in the traveling squad. 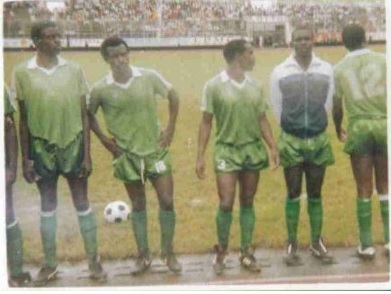 Fredrick Onyango, Godfrey Walusimbi, Kevin Oluoch, Musa Mohamed ,Collins Okoth, Ronald Otieno, Jerry Santo, Timothy Otieno, Khalid Aucho , David Juma ,Bernard Odhiambo, Eric Ochieng , Haron Shakava, Michael Olunga , Bonface Oluoch, Israel Emuge, George Odhiambo, Dirkir Glay, Ali Abondo . 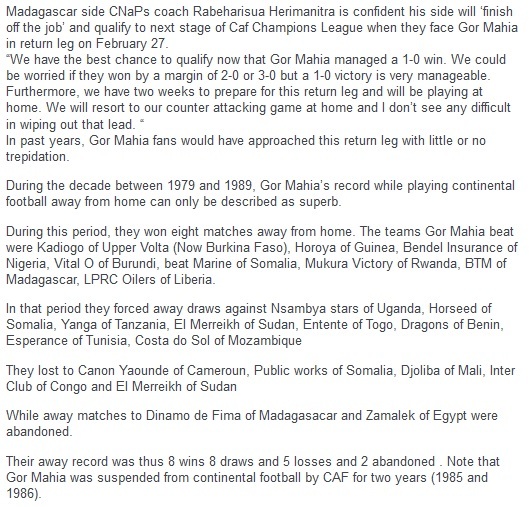 my best to the team.how i hope supersports can televise this game for those of us who can’t travel to madagascar. MAY GOD BLESS U GYZ,tukonyuma yenu. My concern is on jet lag, going by our performance locally whenever we play after taking a flight. Jet lag refers to physical and mental effects caused by traveling rapidly across time zones. This ends up disrupting the body’s 24-hour circadian rhythms or sleep-wake cycles. North-south travel has no impact unless time zones are crossed and this is where our luck lies because flying to Madagascar may not involve crossing many time zones. Changes in zones, illumination (light) and environment can be disruptive when more than5 time zones are crossed. To prevent jet lag, players should depart well rested and should pre-adjust by eating according to time changes, avoiding dehydration and even pre-adjusting the training schedule according to conditions in the host city. Players should avoid coffee or caffeinated drinks when traveling east and adopt local time on arrival. Coffee should however be used when travelling west (remember we are traveling south-east so we must avoid coffee). One last thing avoid alcohol, before, during and after the trip and remember to always call on the Almighty God. 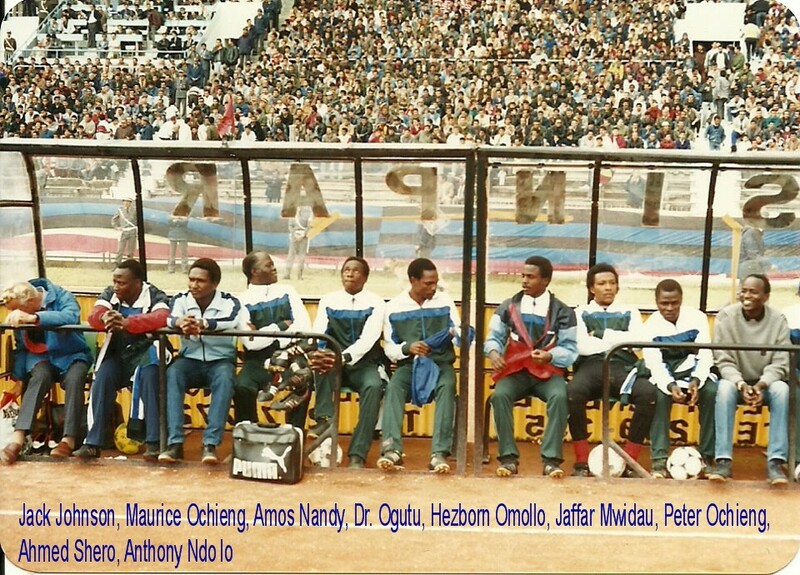 At the end of all this, we will still come back home and deal with Nyamweya and FKF in one way or another. Good piece of advise comrade Barefoot Bandit (Adhula pie dhia’ng) ja-Dunga unuse and not to forget the prevailing weather conditions of light thunderstorm rain with temperatures ranging between 19 to 21degrees, wind blowing at 2km/h or 05m/s and humidity between 97 and 100 percentages. That means we will play on a completely foggy spring day with the pitch damped and soaking with rain water which requires a completely different strategy and approach. Our backline must play with the proper boots to avoid skidding. Pack the BUS and periodically hoof the ball forward to OLUNGA if worse comes to worse. Avoid any hard tackling and body contact within 18 yard zone and if need be get a goal quickly and kill the game early. It is not a matter of life and death so if you lose or win fairly so be it. COME BACK HOME GUYS & WE DEAL WITH THIS PRESZDA SAM NYAMWEYA WEIRD MENTALITY ONCE AND FOR ALL. @ The Bandit i have not been cajoled by president Nyamweya’s kaka sungura’s tactics in the KPL/FKF impasse. Remember i have only been addressing and advocating the constitutional legal mechanism available. But we all know that there are still many other options available especially to one OGANGO TRAILER when push comes to shoves. Thooo! I am relieved to hear that come from you, The Trailer. Your reassurance has added new life into my veins. 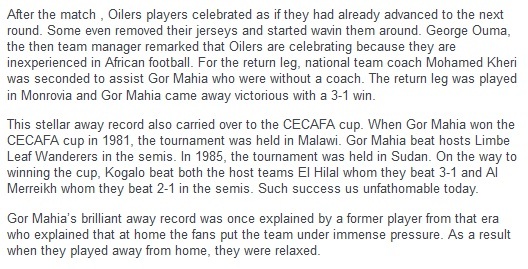 Just what I needed….Just what the football industry in Kenya needs right now. 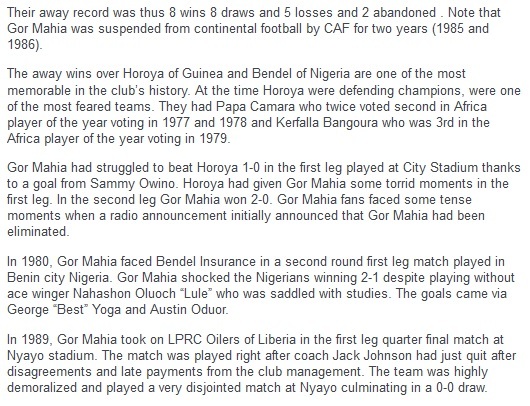 At times like now, as Gor Mahia family, we need to stay united and tackle this issue with one voice. Very soon I am going to leave Nyamweya into the hands of Almighty God so that God Himself can see how best to deal with his being impervious to reason. This is a comment I am posting at 5.38 a.m. as I wind up my morning devotion. Do not be mislead by the in-built timer to think that I submitted it at 2.38 a.m.
Go!go!go kogalo yes we can.we want to remain in champions league.murder-gascar.al the best sirkal.